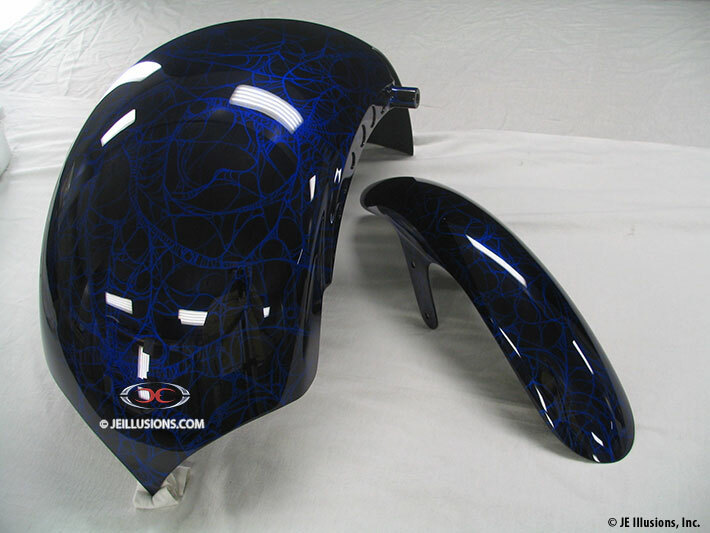 Tim is a firefighter in Washington who has been dreaming of this project since 1994.\r\nThis is a full body design using a base of Midnight Blue Pearl over a unique ground coat. It was described to us as blue you can find the end because it is the infinity of space. 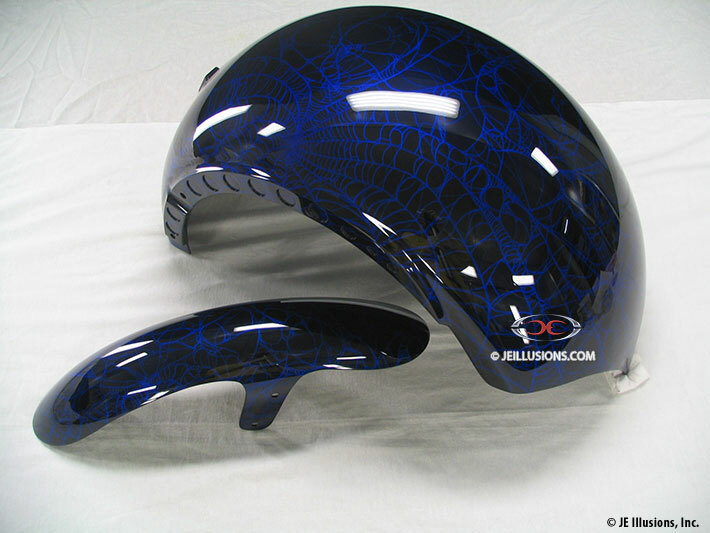 The webbing effect was meticulously added all by freehand airbrushing. 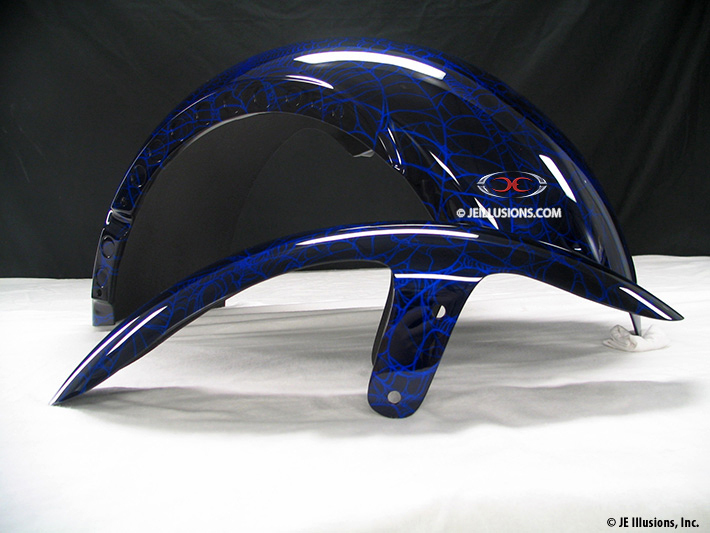 Highlights and shadows were dusted on the edges and the corners on the uniquely contoured sheetmetal. Tim wanted his bike to like a clean midnight sky from a distance and when you walk up to the bike the spider web comes out and bites you. 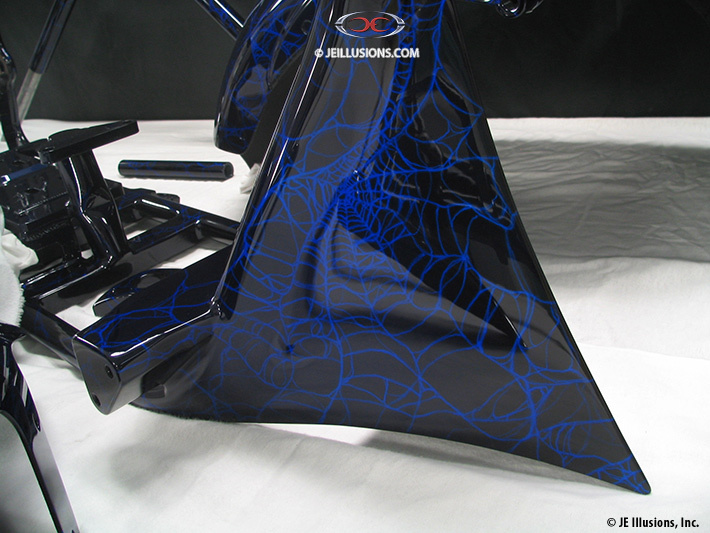 The webbing has a very natural yet abstract look to it and is brighter than the background midnight blue with a slight glow to it.\r\nIt√¢‚Ç¨‚Ñ¢s not just our team at JE Illusions who are the visionaries, many of our wonderful paint jobs were inspired completely by the owner.